is this for 1.11.2 ? Just make a new world. Is there any possibility this mod will ever get an update again? Can some one please tell my why some of the textures for the 1.7.10 version are different to the ones from the 1.10 version, including most of the cobblestone/stone textures. Has there been some copyright issues or something??? 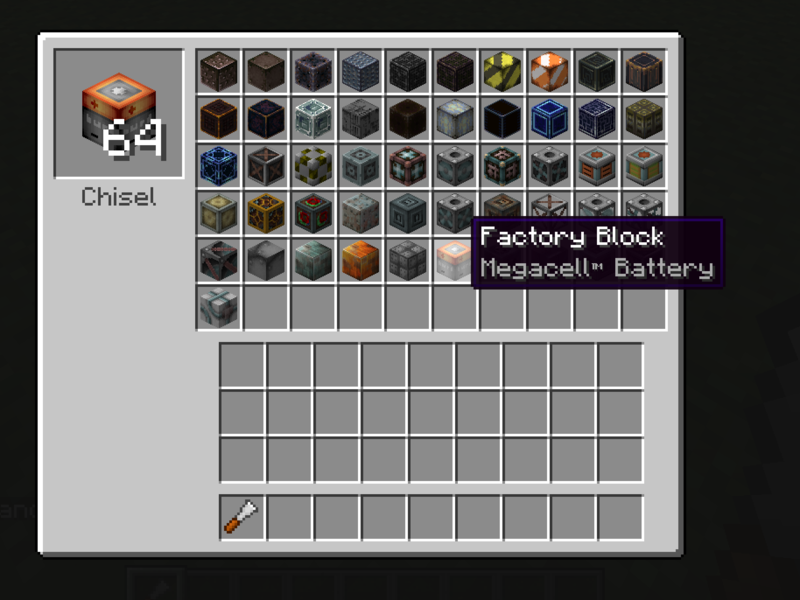 None of the blocks for chisel are visible. When I load the game all the blocks are invisible and I can't remove the mod because the game says it requires chisel to run. But there are no chisel addons so I guess chisel broke my game. Can you guys fix this or point me in the right direction to fixing it myself? I think you use other mod support Chisel mod, so that why requires Chisel mod.